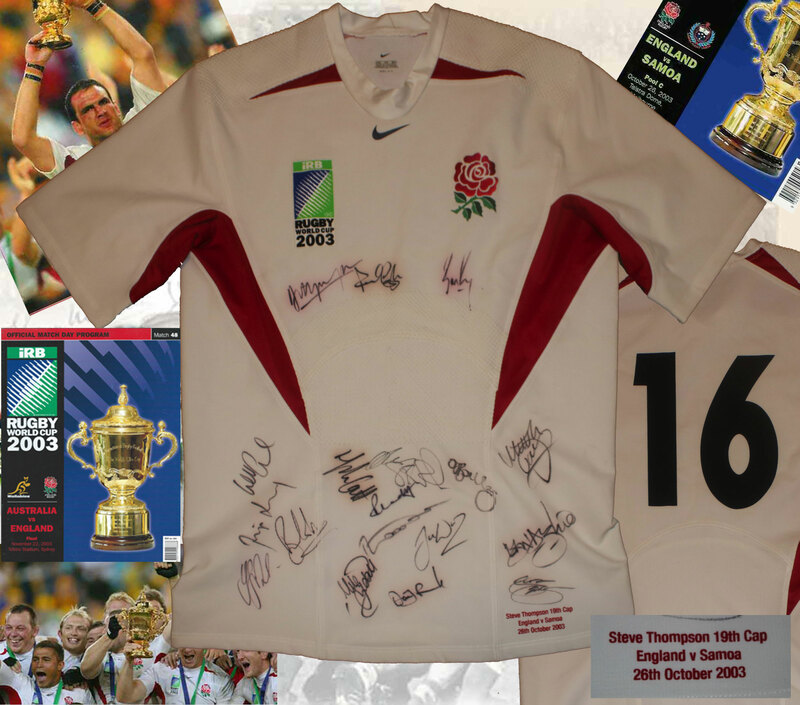 A great selection of rugby clothing, game worn jerseys, signed jerseys, tracksuits, shorts, socks, training gear, please scroll down to see what's on offer or click on the links below for individual sections. 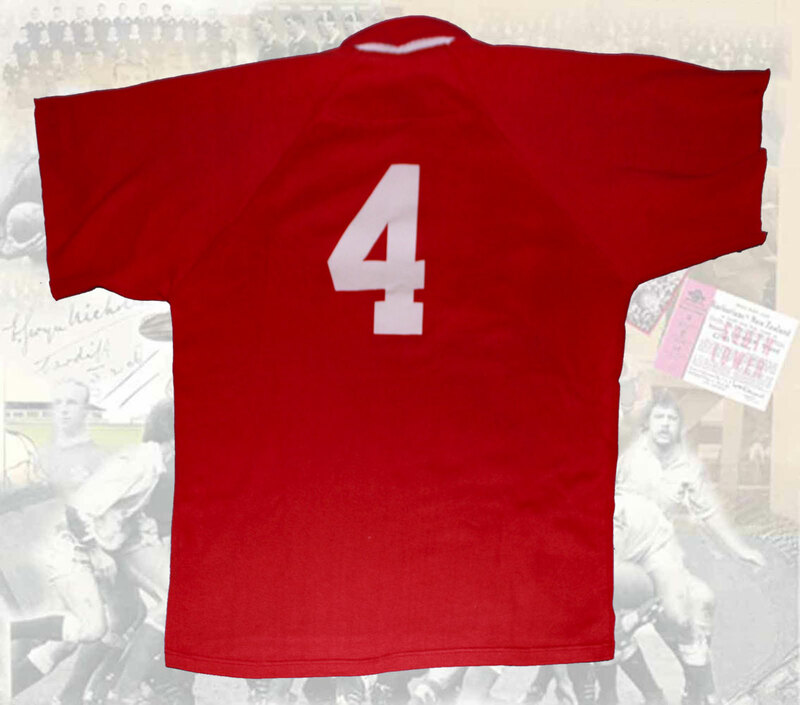 CANADA JERSEY - a Canadian No 4 short sleeved (trimmed) international jersey from the Gareth Rowlands collection circa 1995-6 believed to have been worn in a match with the USA. 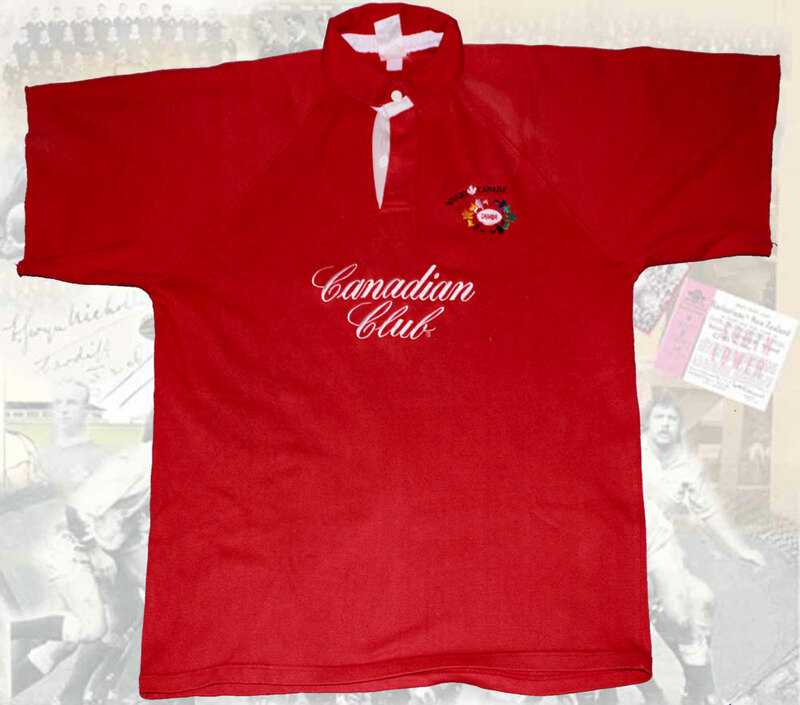 The jersey has the new style Canada badge and sponsor's logo 'Canadian Club' to the front. The jersey is by 'Lionheart Rugbywear' and is approximately a size XXL. 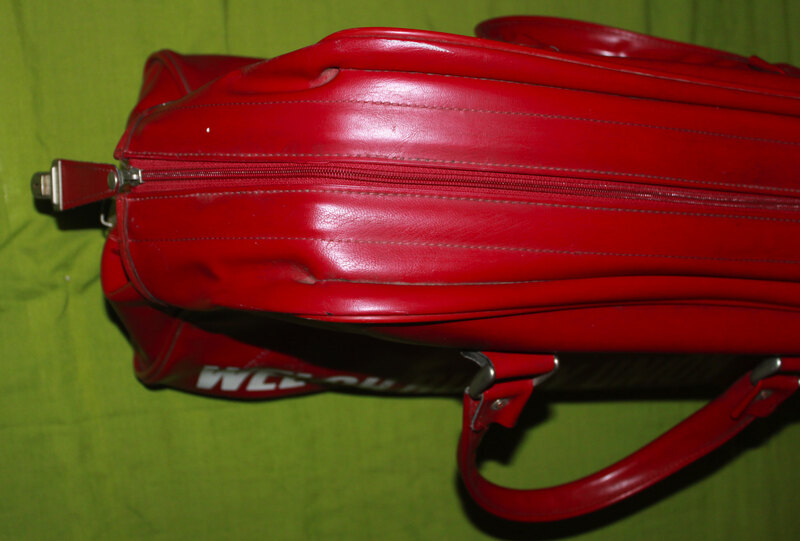 It is in good condition and is accompanied by a certificate of authenticity guaranteeing that it is original. 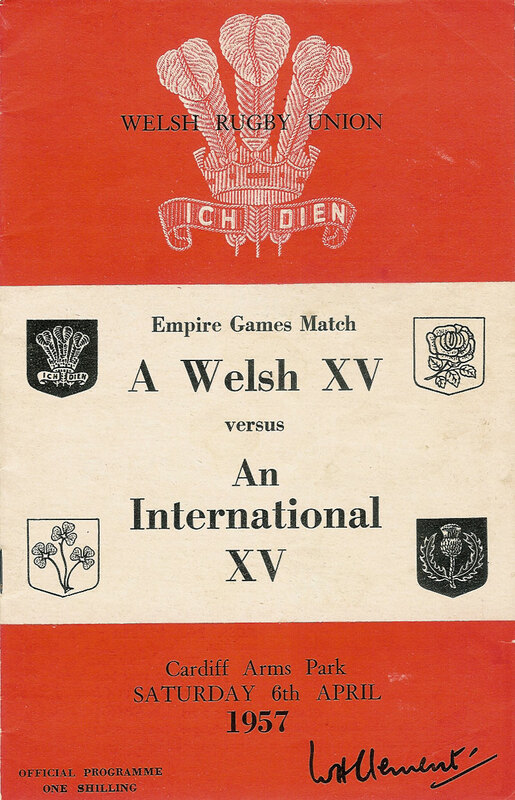 This item is sold together with a COA guaranteeing that it is original & authentic and the official programme for the match. 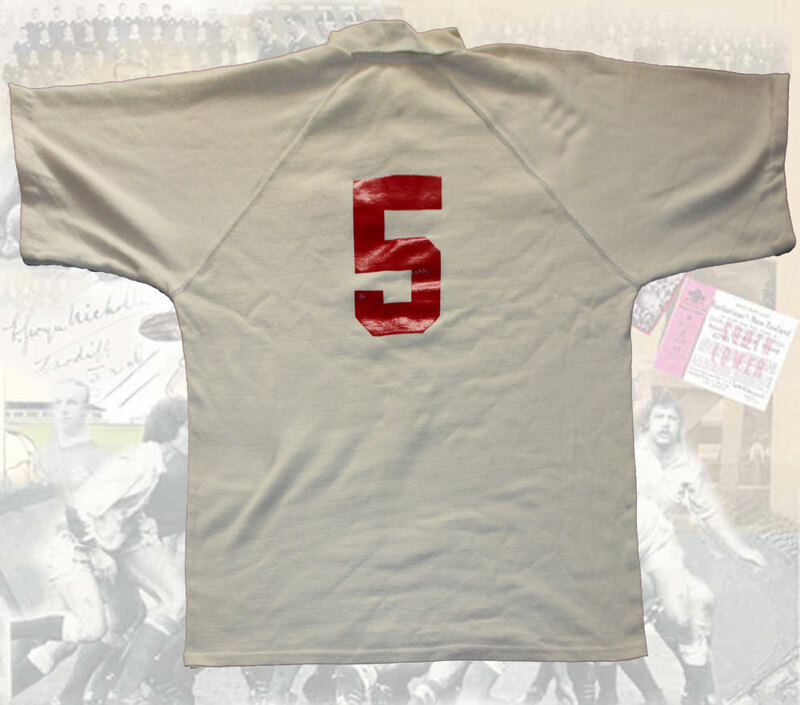 CANADA UNDER 23s JERSEY - a Canadian No 5 short sleeved Under 23s international jersey from the Gareth Rowlands collection. 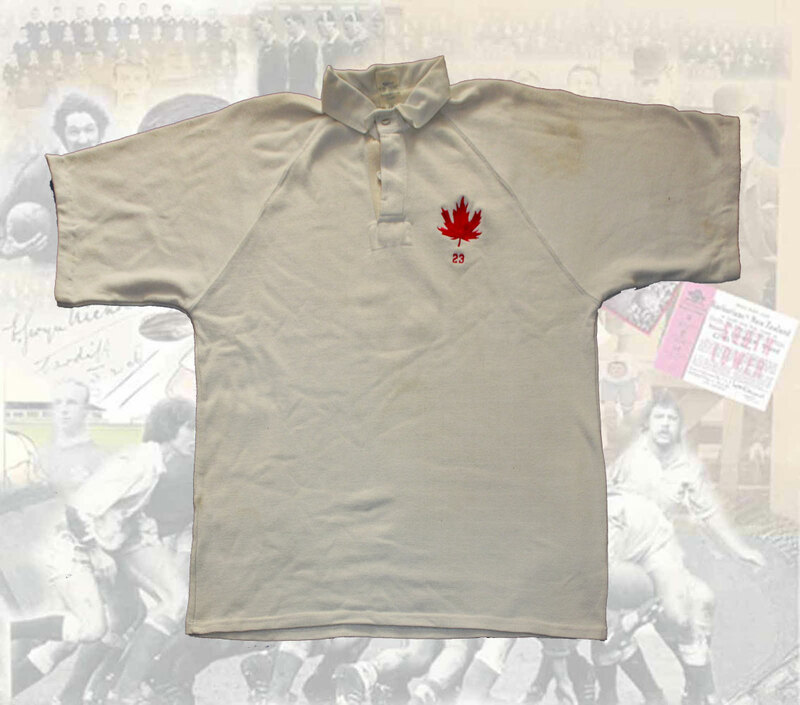 The jersey is plain white with the classic Maple leaf logo with 23 underneath. It originates from the 1993 Canada Under 23s tour of Japan. 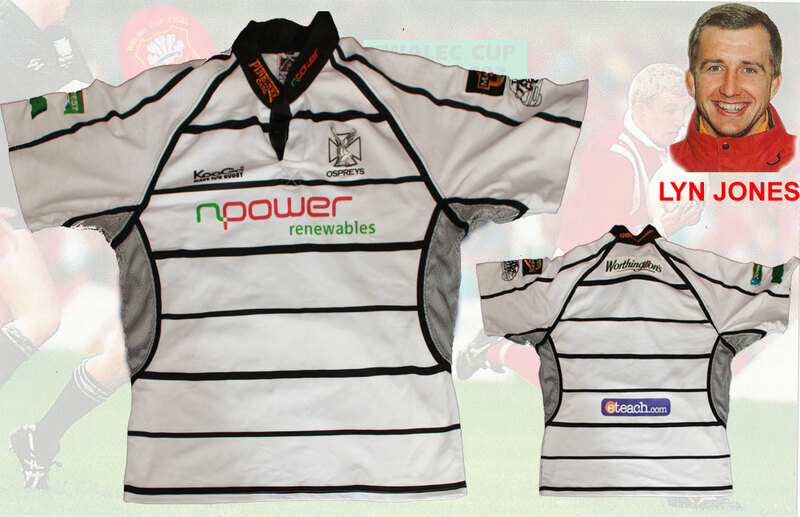 The jersey is by 'Lionheart Rugbywear' and is a size XXL. 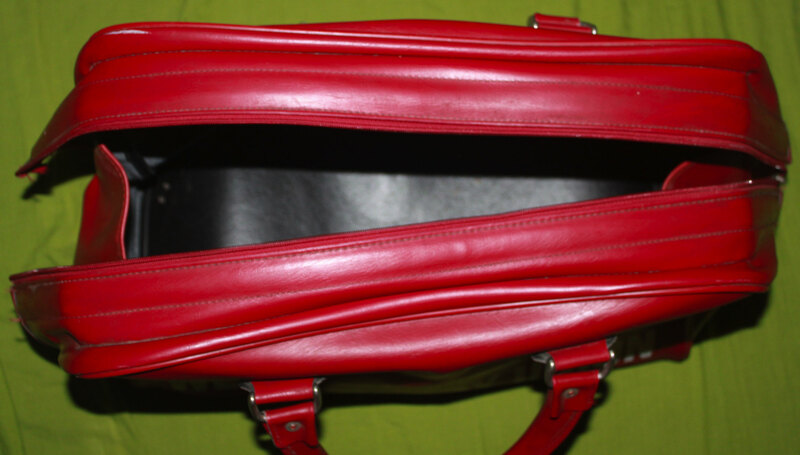 It is in good condition and is accompanied by a certificate of authenticity guaranteeing that it is original. LAUGHARNE RFC (WEST WALES) No 10 MATCH WORN JERSEY - a World of Wales - Terry Thomas & Co Sponsored Laugharne RFC jersey, No 10, 42-44" (107-112cm), circa 1990s, the jersey has been match worn but is generally in good condition. 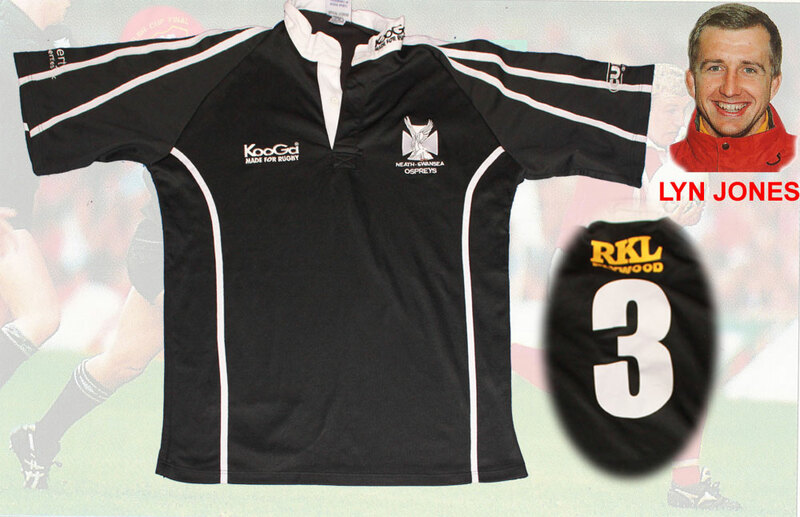 Ospreys - Neath-Swansea No 3 jersey, from the first season 2003-04, size XXL by Kooga, the jersey has been match worn with a 3" tear to the back. Lyn is unsure why this jersey lacks the main sponsor's logo. 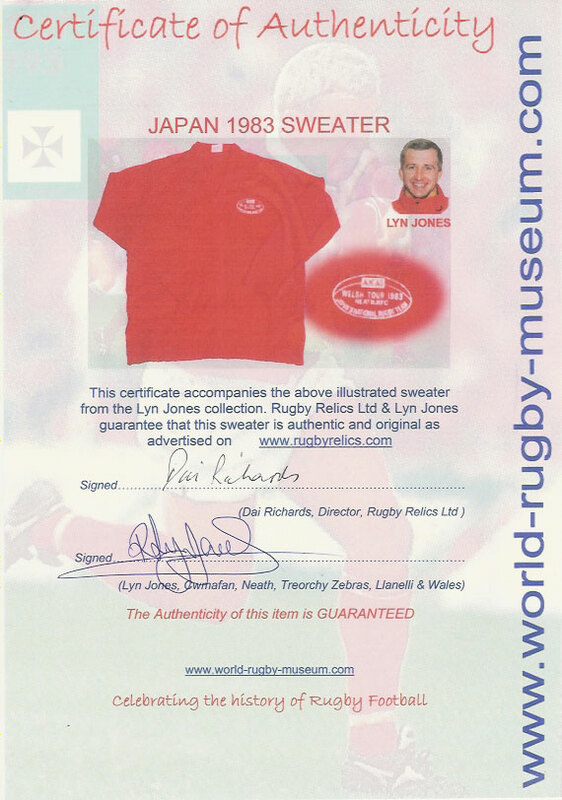 It comes complete with a COA signed by Lyn Jones guaranteeing it's authenticity. BEARN FFR - FRENCH REGION JERSEY - Bearn is a Region of the French Rugby Federation. 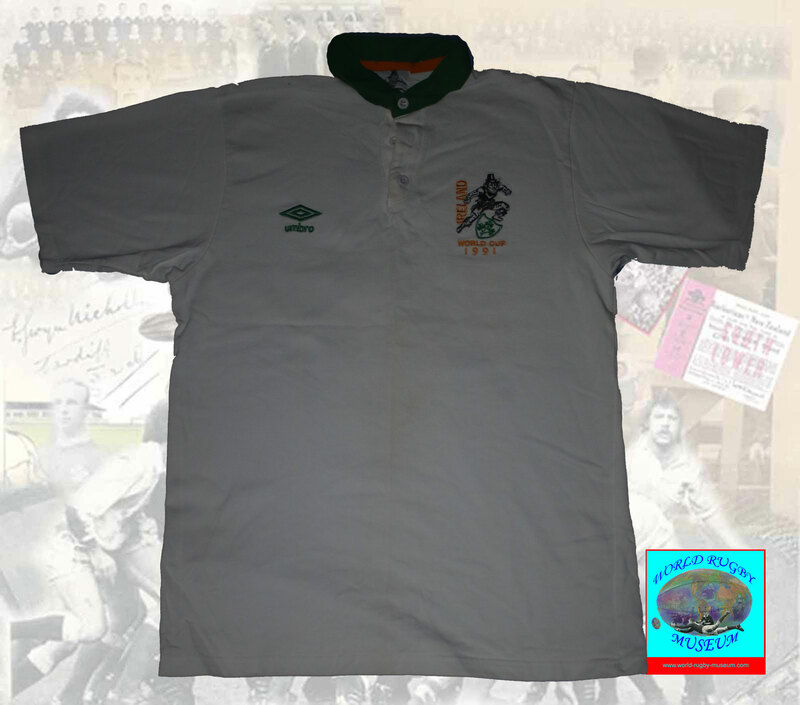 This jersey is un-numbered, it was most likely used as a referees jersey, circa early 1970s, from the collection of a Welsh international referee. The jersey is by Halbro, size 42" with muddied front and collar. 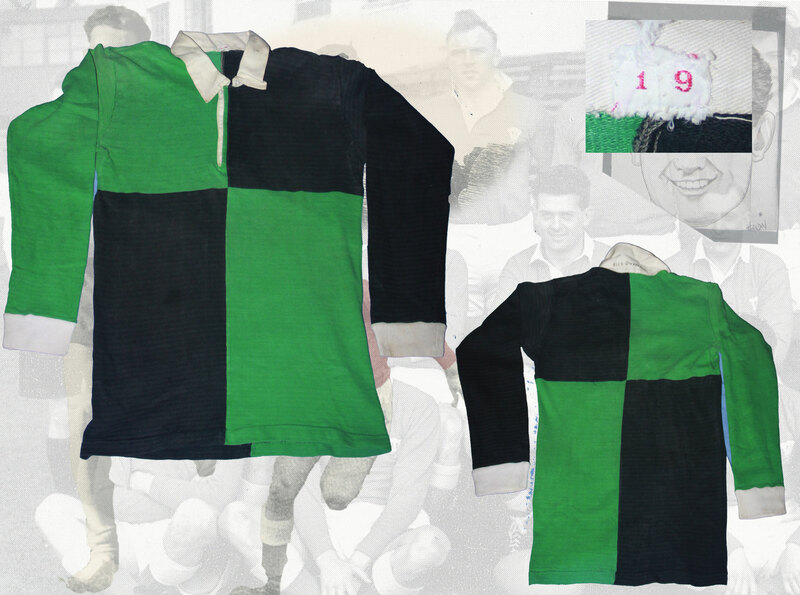 UNKNOWN RUGBY JERSEY CIRCA 1950 - 1970 POSSIBLY SCOTLAND & IRELAND COMBINED ? - A jersey that looks to be a combined Scotland & Ireland jersey but is of unknown origin. 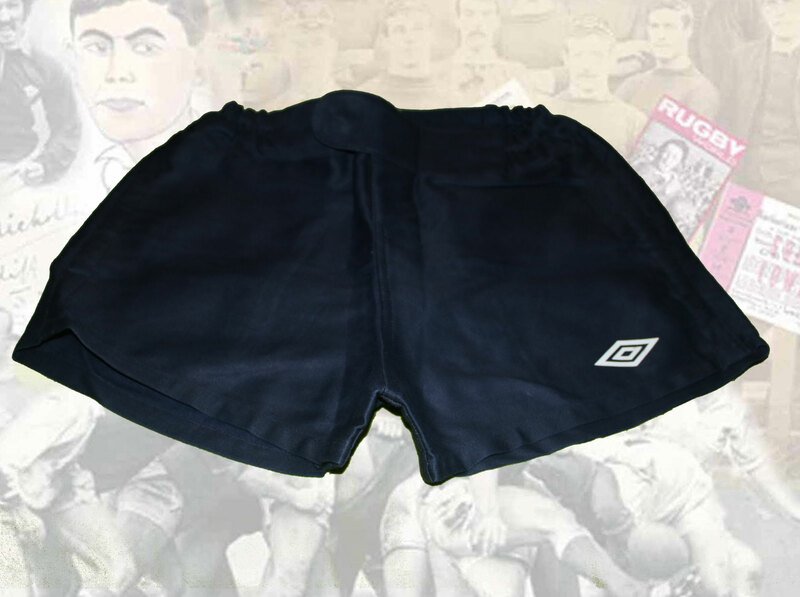 There is a small label with number 19 on it and there is a snag to the back of the jersey which has possibly occurred when a number was removed from the jersey. Rees Stephens has thought it important enough to display it at the Neath Athletic clubhouse and to write his name on the back of the collar. 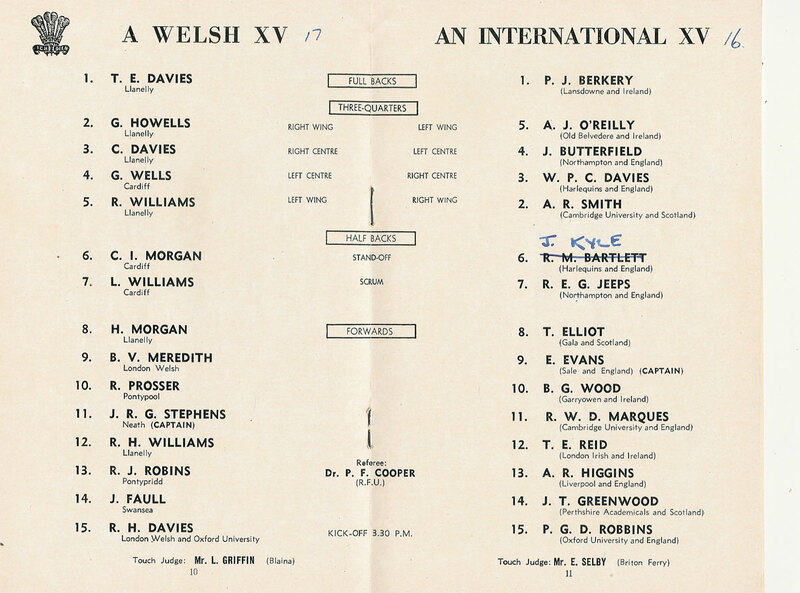 a regular occasion at Neath was the annual Neath v Rees Stephens International XV to raise funds for the Neath YMCA so possibly it is a jersey from the international team, we just don't know. Size - chest approx 42". 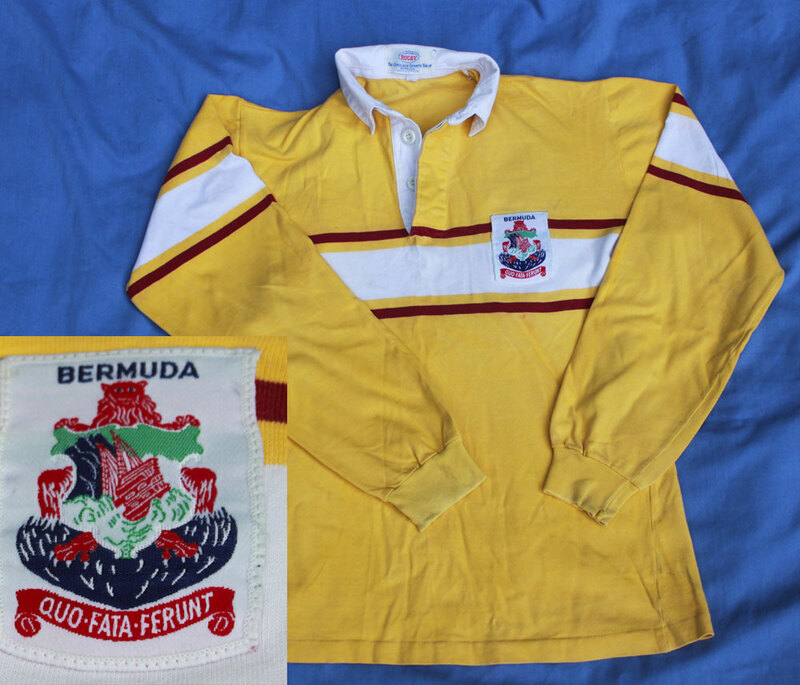 BERMUDA REPLICA JERSEY. A predominantly yellow long sleeve jersey with wide yellow band and two maroon bands and a white collar. The jersey is by The English Sports Shop Bermuda and is 100% cotton, size - Small. IRELAND 1991 RUGBY WORLD CUP UMBRO REPLICA STYLE JERSEY - Size 52cm A2A - in very good condition with no noticeable faults. 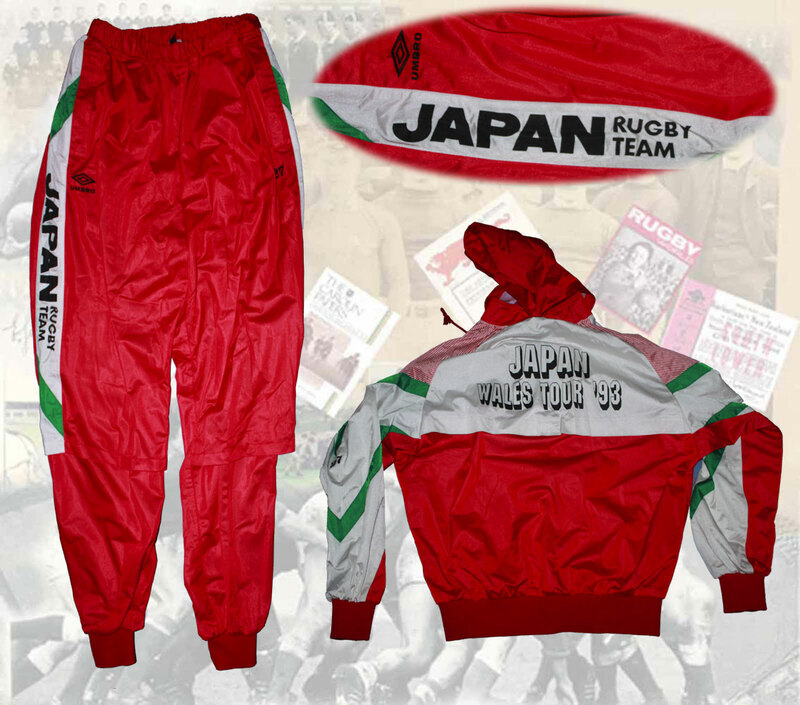 JAPAN FULL TRACKSUIT - red and white with green stripes tracksuit top and bottom by Umbro, no size given but measures 24 inches (60cm) from underarm to underarm, in very good condition - from Wales tour of Japan 1993, issued to and worn by player number 27 - top has a red hood with "Japan Wales Tour '93" on back from Wales tour of 1993 - bottom is "Japan Rugby Team" down each leg. NEWPORT RFC training top, a black sweatshirt with Newport RFC embroidered to front, approx 40"
SWANSEA RFC, ALAN REYNOLDS, TRACKSUIT TOP. A silver tracksuit top with a pink inverted "V". 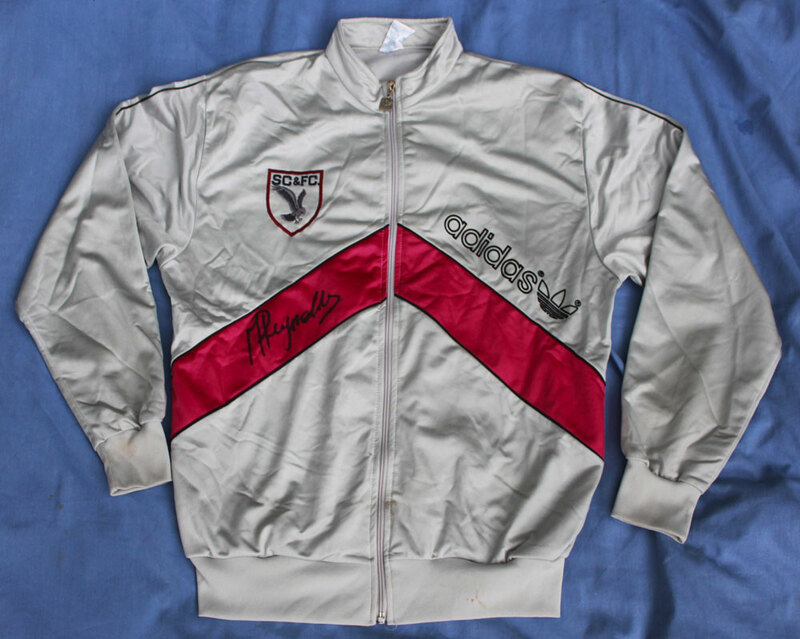 This tracksuit top, by Adidas, was worn and autographed by Alan Reynolds. A blindside flanker, Alan Reynolds played for Swansea from 1987 to 1998, making a total of 225 appearances and scoring 44 tries. 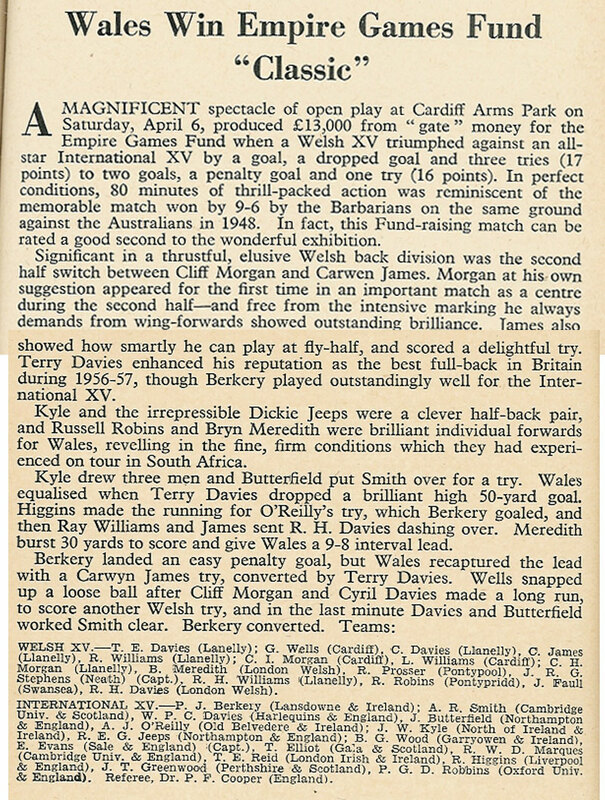 He represented Wales Youth and Wales A/B. 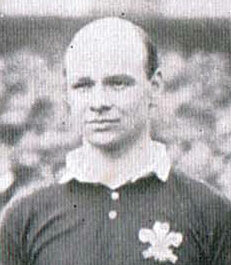 Alan Reynolds won 3 caps for Wales (v Namibia 1st and 2nd Tests in 1990 and v Australia in 1992). 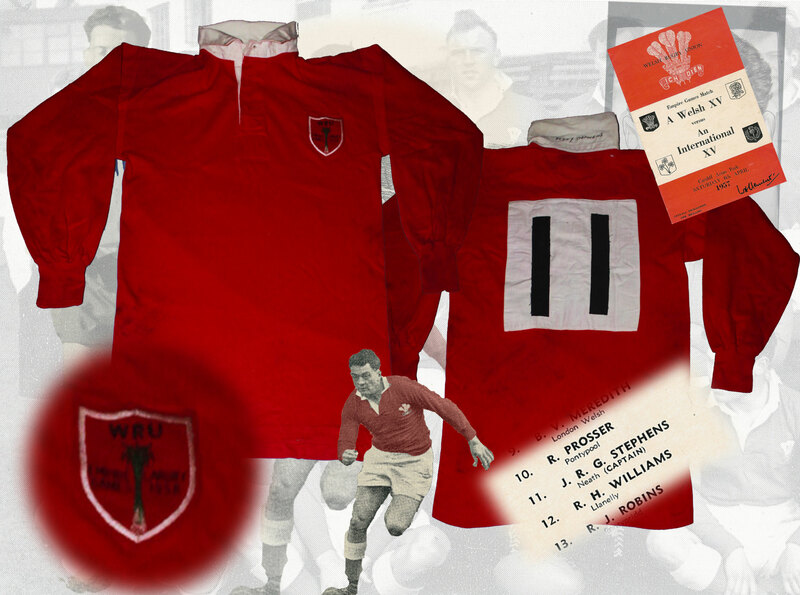 WALES SEVENS PLAYERS T-SHIRT, WAYNE EVANS. 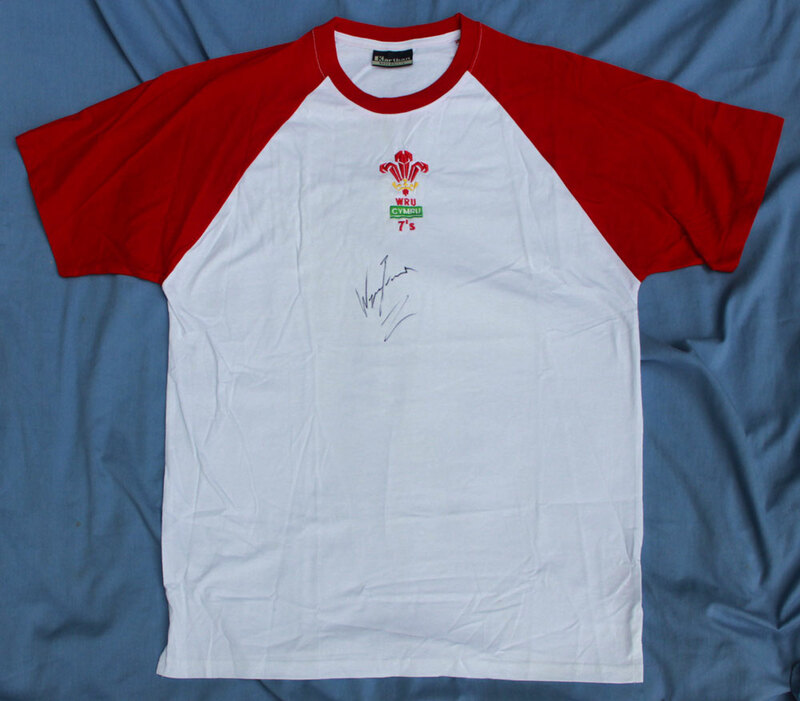 A white and red Wales Sevens t-shirt, issued to and worn by Wayne Evans in season 2006-07. Wayne Evans has signed the front of the shirt The t-shirt is by Kariban and is size L. Wayne Evans has played for Wales Sevens in Dubai, George, Commonwealth Games, Hong Kong, Adelaide, London and Murrayfield. A scrum half, he has represented Wales at under 18 & under 21 level. Wayne Evans played for Cardiff Blues from 2005 to 2007 and then transferred to Newport Gwent Dragons. 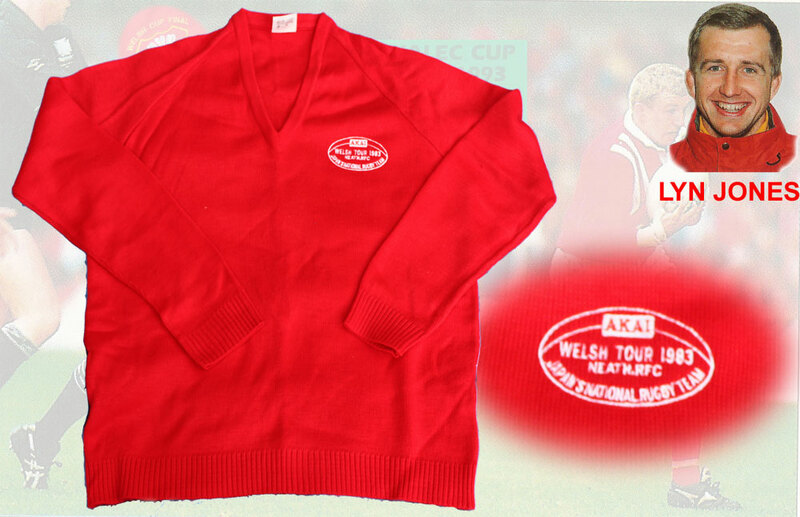 SWANSEA SCHOOLS SWEATER. 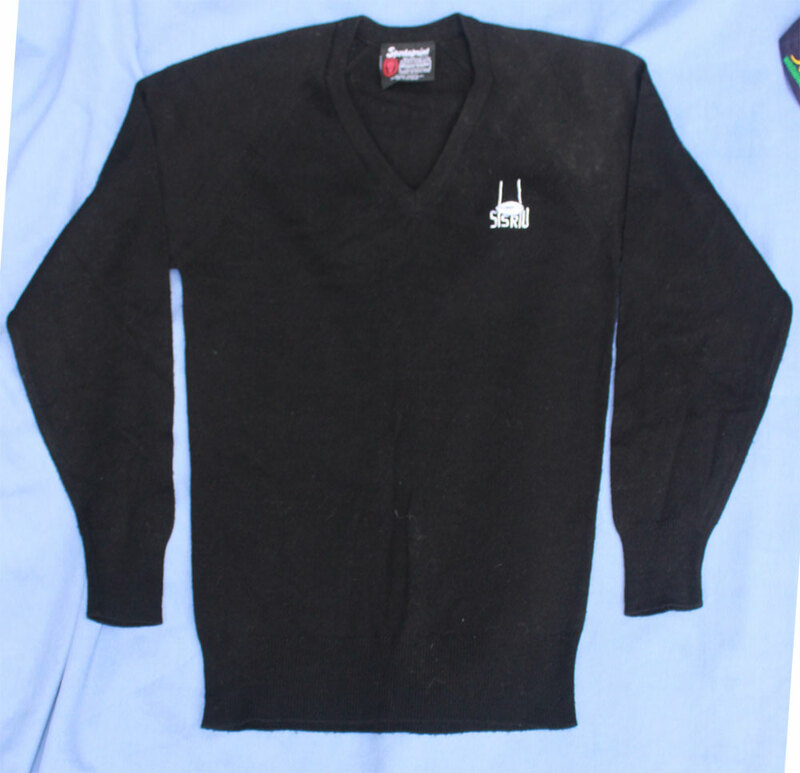 A black sweater by Sportaprint size 32". 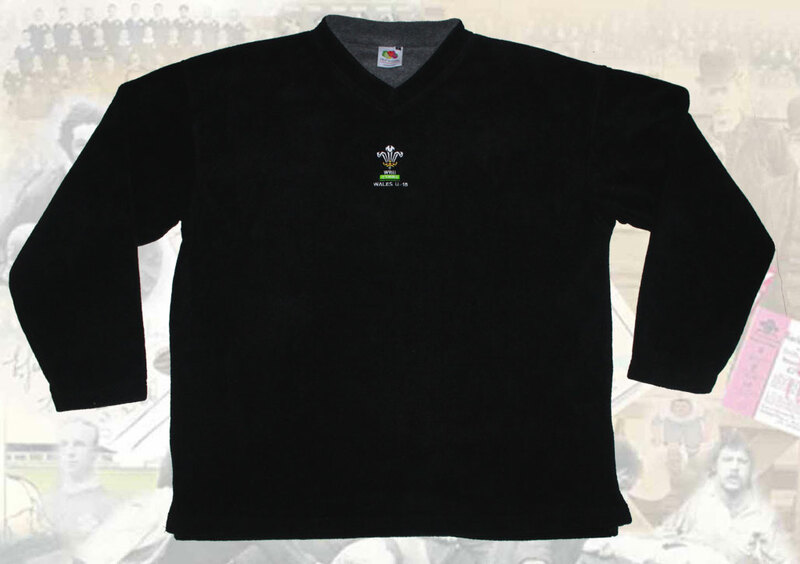 WALES UNDER 18 SWEATSHIRT - black long sleeve fleece/ sweatshirt size L by Fruit of the Loom Leisurewear in very good condition - player issue circa 2002. 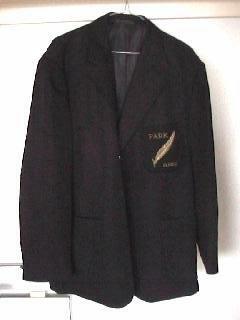 PARK RFC (Port Elizabeth, South Africa) blazer (JHC) . 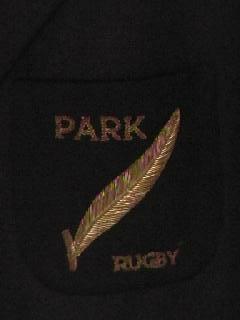 A black blazer of good quality with "Park Rugby" and team emblem (silver) leaf woven with wire into the blazer pocket, size approx 40"
GERMISTON SIMMER RFC, SOUTH AFRICA - a blazer by Personality, pure wool, size approx 46" (XL), badge including Springboks head embroidered to blazer, in excellent condition. 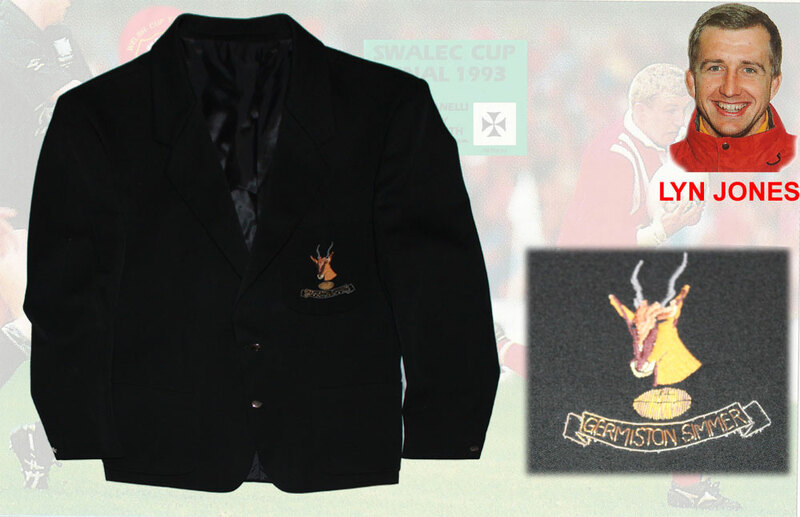 This blazer comes complete with a COA signed by Lyn Jones guaranteeing it's authenticity. 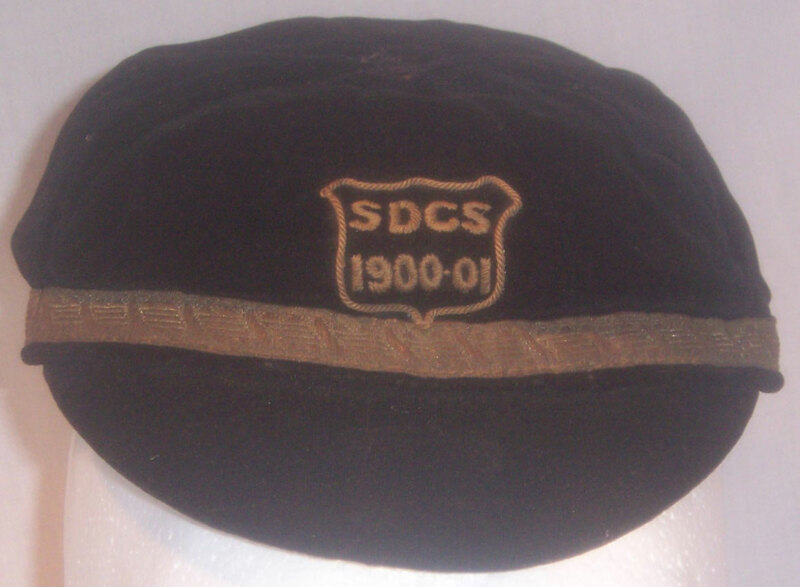 SDCS 1900-01 cap - Team unknown - From the collection of Jack Jenkins ( Long Ashton School, Bristol, Royal Military College Sandhurst, Mountain Ash, London Welsh, Newport, Newbridge, Rosslyn Park, Barbarians, Middlesex, Monmouthshire & Wales 1906). Possibly something to do with Sandhurst or a cap that belonged to Jack Jenkins brother-in-law Leigh Richmond Roose, a Welsh soccer international. We have identified one of Roose's caps among the collection so this may be another. A black cap with gold braiding, lacking the tassel. 1999 RUGBY WORLD CUP T-SHIRT. 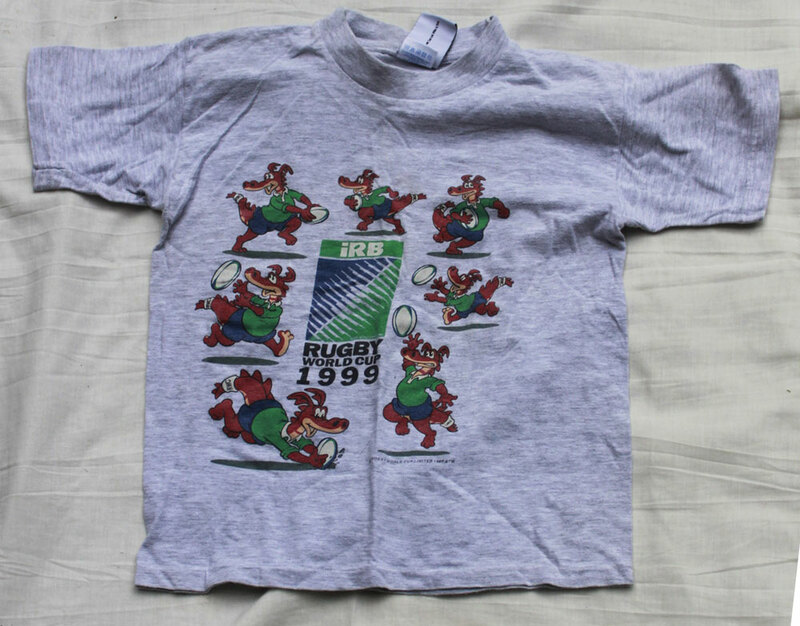 A grey t-shirt with 7 x Dewi The Dragon mascots in action around the Rugby World Cup 1999 logo on the front. 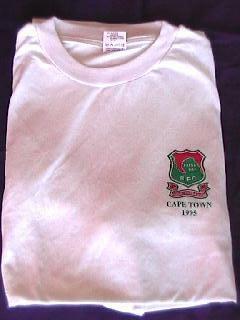 The t-shirt is by Rugby World Cup 1999 (official licensed product) and is size 30"/32". 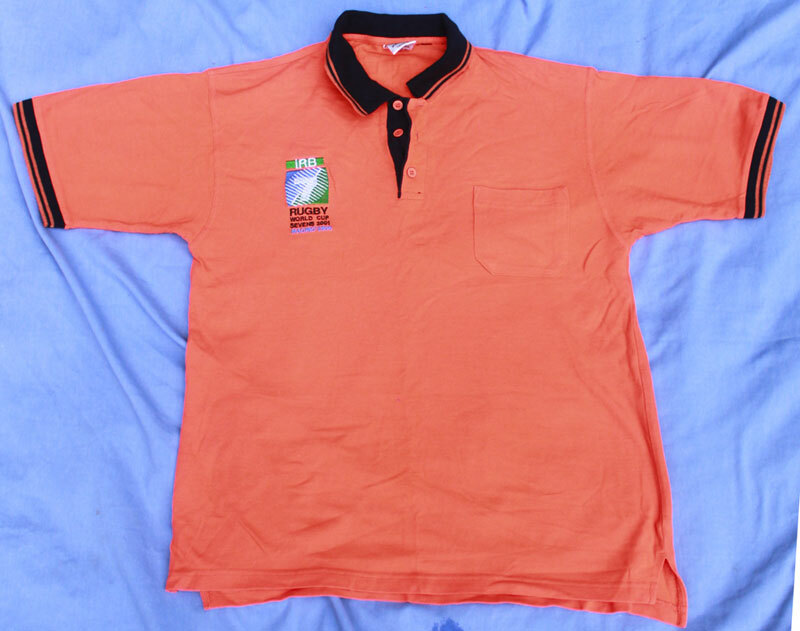 RUGBY WORLD CUP SEVENS 2001 - MADRID 2000 POLO SHIRT. An orange polo shirt with navy blue collar and pocket . 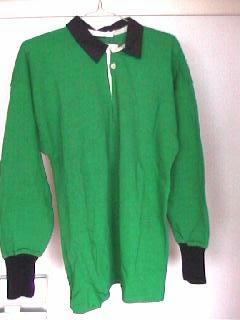 The shirt is by "The Only Navy Nautica" is is size L.
WALES v IRELAND 2001 GUINNESS T-SHIRT. 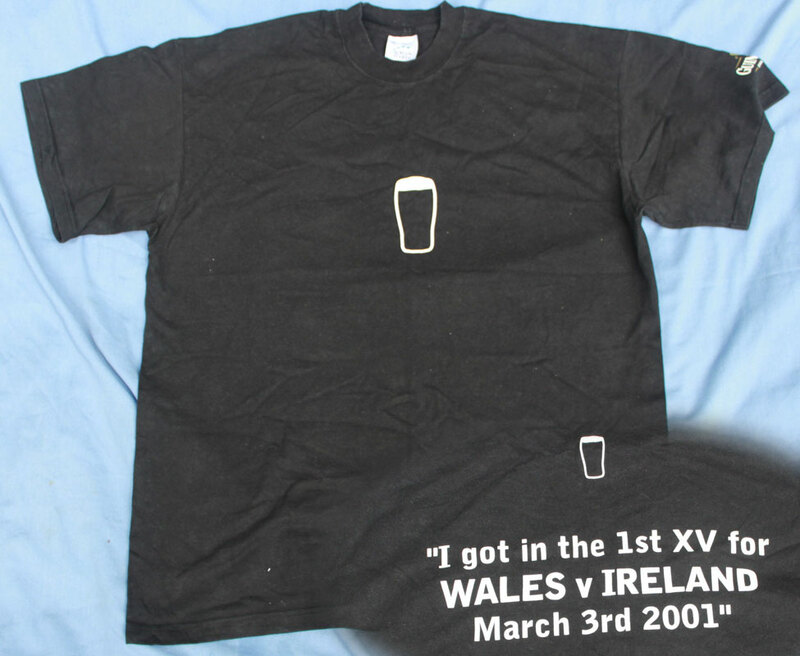 A black t-shirt with "I got in the 1st XV for WALES v IRELAND March 3rd 2001" on the back. 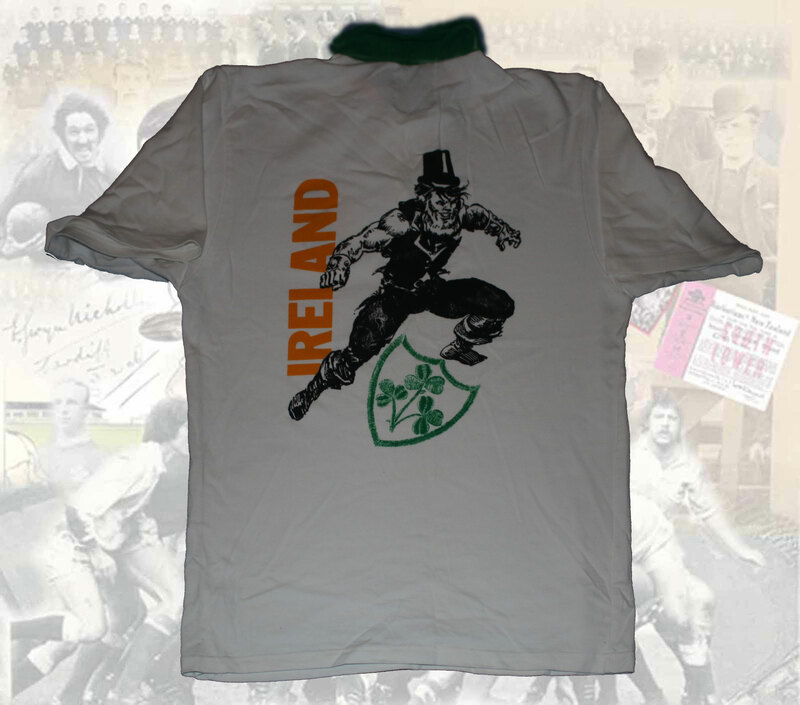 It has an image of a pint of Guinness to the front and the Guinness logo to the left sleeve. The t-shirt is by Screen Stars by Fruit of the Loom and is size XL. 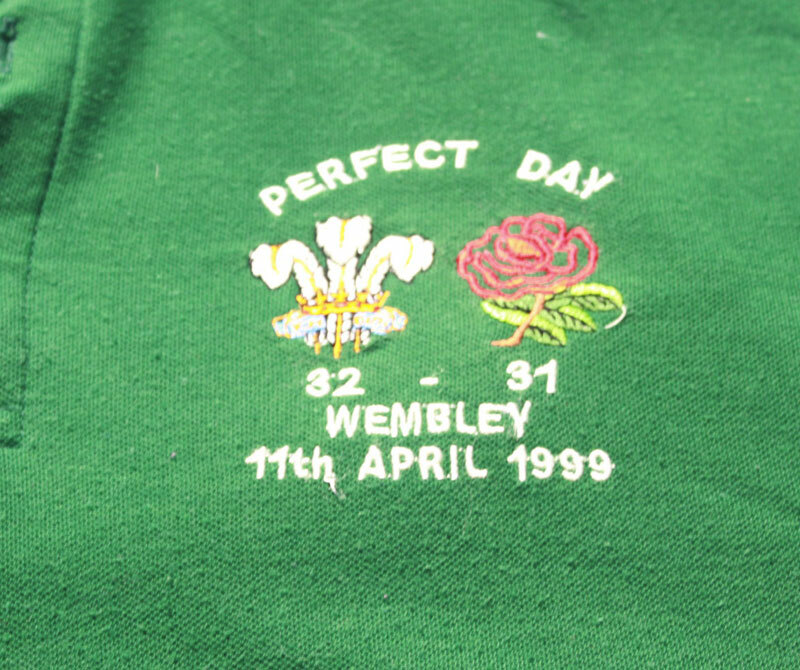 WALES 32 ENGLAND 31 WEMBLEY 11 APRIL 1999 POLO SHIRT. 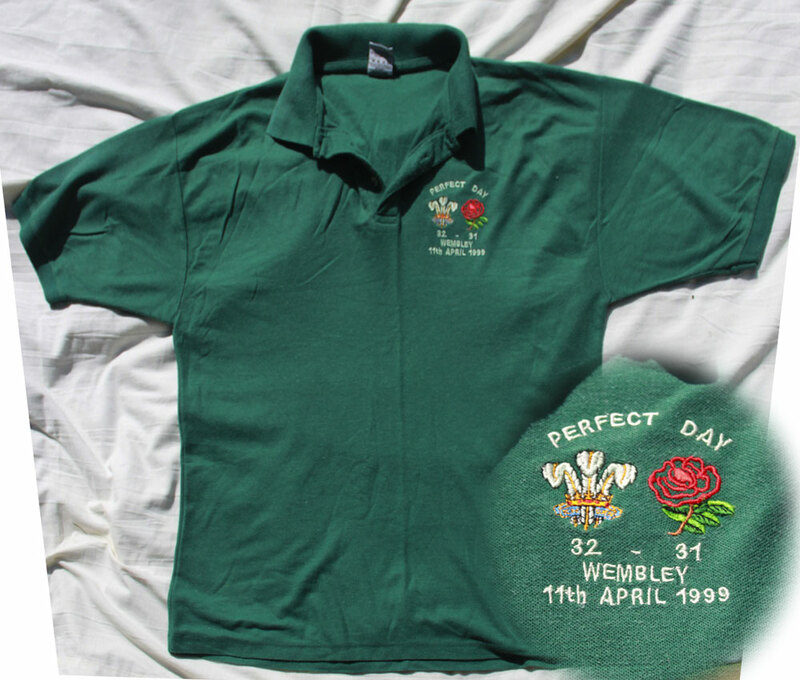 A green polo shirt with wales v England 1999 embroidered "Perfect Day" badge.The polo shirt is by Better Basics and is size XL. 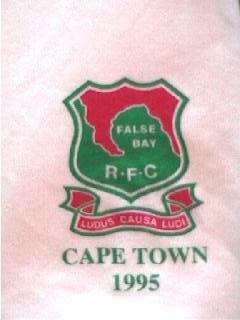 FALSE BAY RFC T shirt - Cape Town 1995 - secondhand in good condition, size - approx 40". 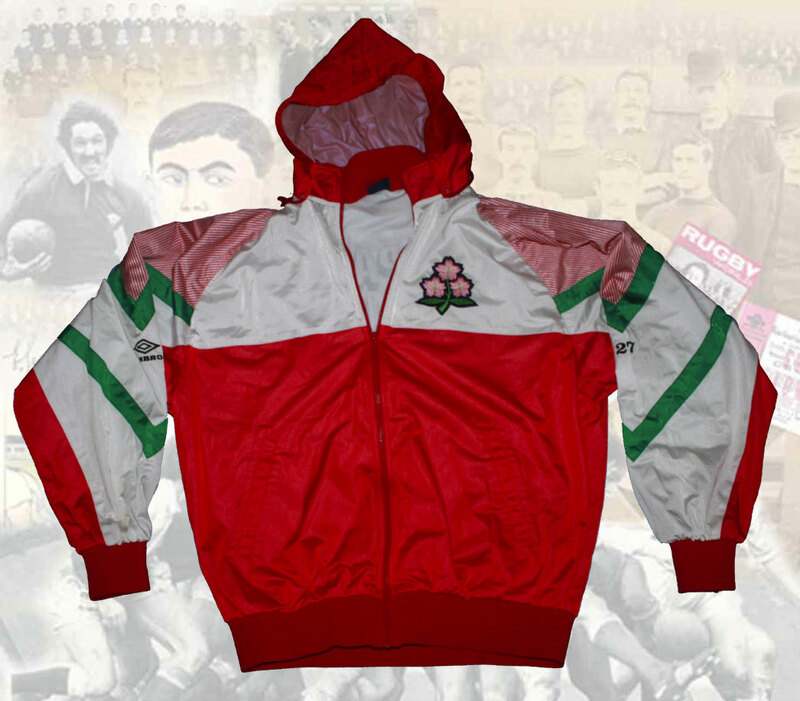 Japan National Team tour of Wales 1983 (Lyn Jones, Neath, Llanelli & Wales collection) v Neath sweater. Size extra large, manufactured in Scotland, 100% acrylic fibre, this is possibly a Japan team issue sweater although Lyn is not sure of it's origin. 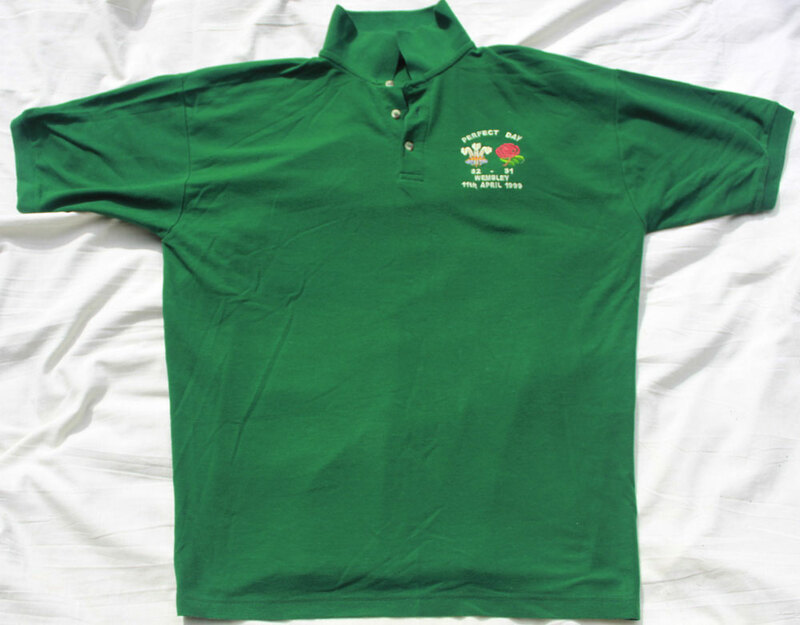 Ireland v Wales 2004 - Ireland v Wales 2004 supporters polo shirt, size medium. 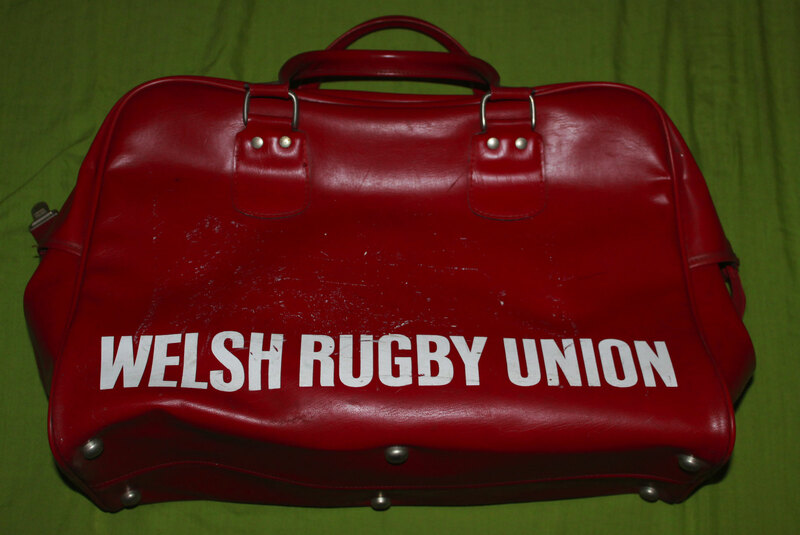 A large (approx 30 litre) holdall from the collection of a Welsh Rugby Union committeeman of the 1970s. 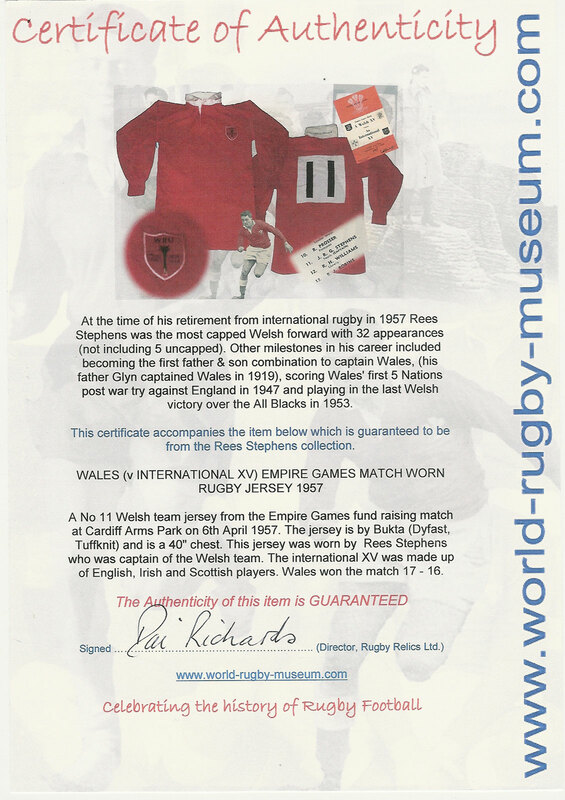 This is exactly the same kitbag that was issued to the Welsh greats of the 1970s, Phil Bennett, Mervyn Davies, JPR Williams & Gareth Edwards. 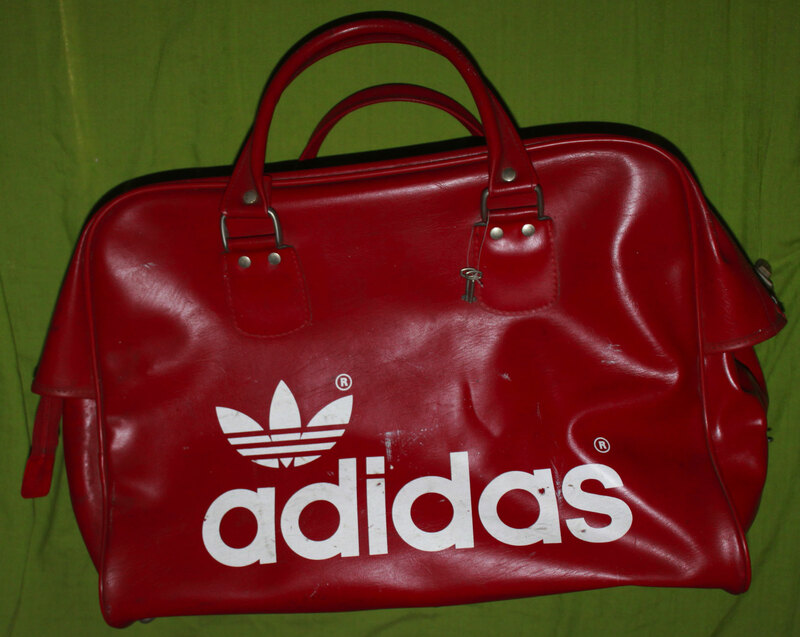 This holdall is in remarkably good condition considering it's age. 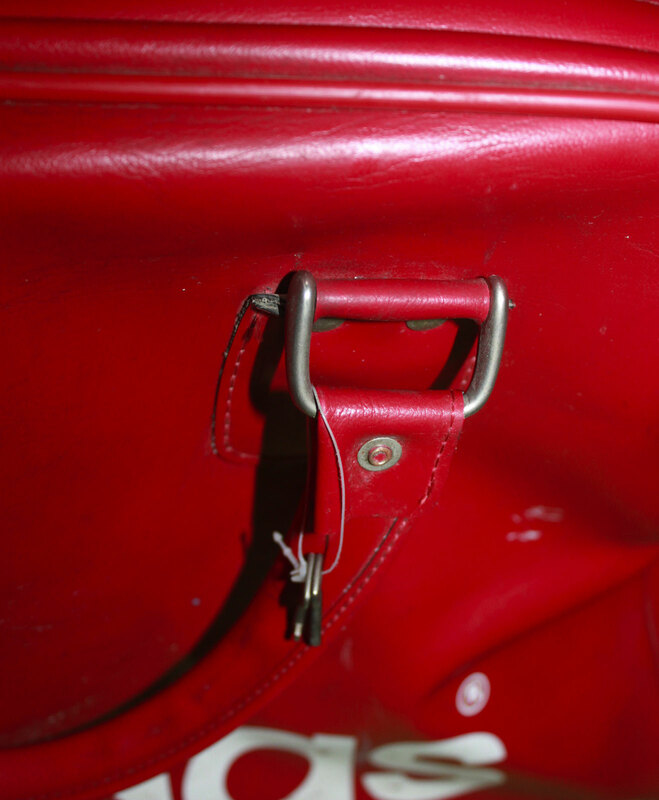 The are a few white marks on the sides, but the zip is working fully and the handles (which are always the first to give way) are intact and unbroken. 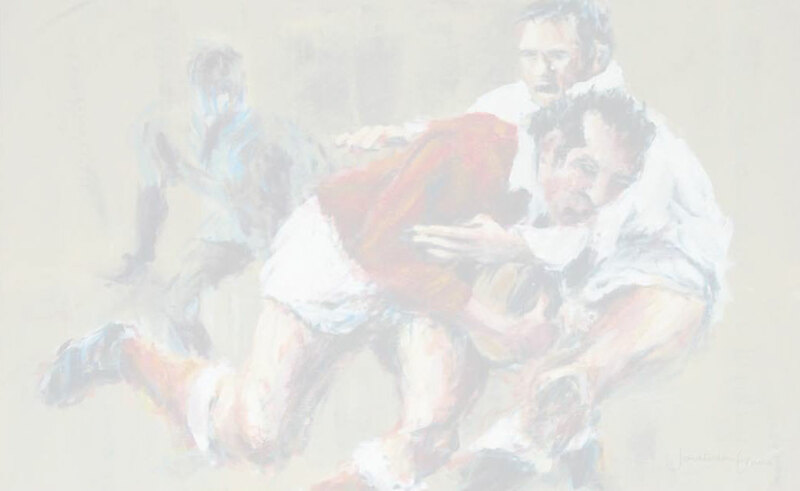 This is an extremely rare opportunity to purchase an iconic piece of Welsh Rugby history.